Despite a rough start to the campaign, Mario Balotelli seems to have turned things around since his move to Marseille in January. The Italian had impressed at Nice in his first two seasons with the French club, but struggled under Patrick Vieira this season and wanted out. However, according to a former Marseille legend the move might never have happened without his influence. Didier Drogba told the Ligue 1 website that he had discussed the club with Balotelli and helped convince him that joining Les Olympiens was the right move for his career. “I am very happy for Balotelli, especially because we talked about it for a while before he went there,” Drogba told the Ligue 1 website. Since making the move to Marseille, Balotelli has five goals in seven appearances and has become the talk of the French top flight. He hadn't scored a single goal with Nice in nine appearances during the first half of the Ligue 1 season. Although he was left out of Roberto Mancini's Italy squad for their upcoming Euro 2020 qualifiers against Finland and Liechtenstein, it is only a matter of time before he is called up for international duty once again if he continues his recent run of fine form. Mancini had expressed his disappointment with Balotelli's final months with Nice in December. 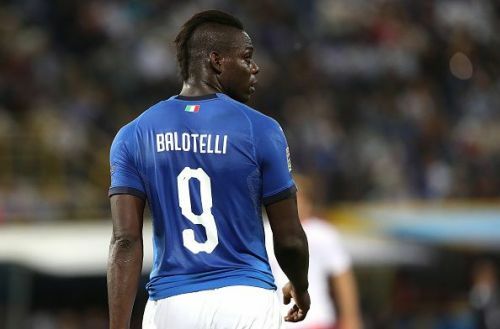 “I’m sorry to see Balotelli waste his talent the way he does, but I think he can keep people entertained by scoring goals," said the tactician. Despite still being just 28-years-old, Balotelli has spent time with seven different clubs including spells with Inter, Milan, Manchester City and Liverpool. Hopefully he has finally found a club where he can thrive at for years to come.